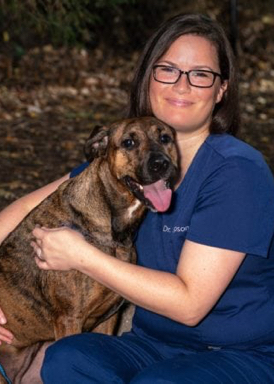 Dr. Courtney Sampson was born and raised in Colorado and earned her veterinary degree at the University of Georgia. After veterinary school, she completed a one-year internship in small animal medicine and surgery at North Carolina State University. She then went on to complete a residency in neurology and neurosurgery at the University of Tennessee. Her professional interests include management of immune-mediated neurologic disease and epilepsy, as well as surgical management of intervertebral disc disease. In her free time, she enjoys live music, cooking, reading, and spending time with her dogs.